You see the following message and error code when your Kinect sensor doesn’t turn on. This may mean that the Kinect sensor is not connected properly, or a necessary update has not been installed. 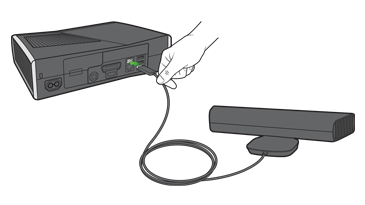 Important Remove the power/USB adapter cable, if your Kinect sensor came with one. Plug the sensor cable into the AUX port on the back of the console. No green light? 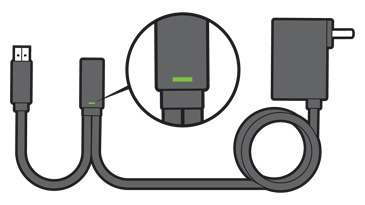 Try plugging the cable into another outlet to make sure the cable is working correctly. 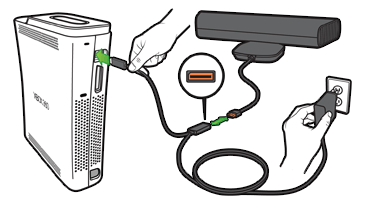 If you need to replace the cable, contact Xbox Support. 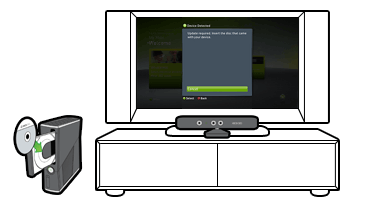 Select Kinect Sensor, and then select On. 是否要联系支持部门，以解决您所遇到的“Error C000020C occurs when your Kinect Sensor doesn’t turn on”问题或其他问题?